There’s something to be said for timing when you’re releasing games and The Count Lucanor’s release on Switch in the season of Halloween I would doubt is an accident. People seeking out a few scares or something unexpected will usually impulsively check out reasonably-priced fare that seems creepy and while it has a relatively low-res “12 bit” look to it make no mistake that The Count Lucanor delivers some truly weird and creepy visuals here and there. You’re just a poor boy named Hans who has decided that he’s fed up with living in poverty and tells his mother that he’s going to set out to find a fortune. 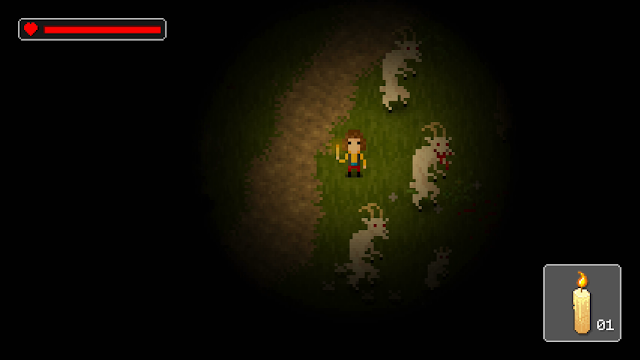 After meeting a few people along his way he stumbles into a field of goats being tended to by a shepherd and from just about that point in the game everything goes into weirdsville. Waking up to the darkness and some strange noises he will encounter some pretty insane things before finding his way to a castle he’d never before encountered. At the entrance he meets a strange creature who has quite a proposition: If the boy can figure out the creature’s name he will be generously rewarded. From there you’ll be on your journey of discovery, trying to solve puzzles to get letters from the creature’s name in the hopes of finding success. This will require talking to some increasingly strange characters, finding items, unlocking rooms, solving a variety of relatively simple but often clever puzzles, and surviving quite a number of harrowing encounters. I’m trying to be vague in the interests of not ruining much, since there isn’t loads of content in the game, but I’ll say some of it is certainly memorable. It’s not exactly a horror game but there’s no getting around the fact that there’s some damned weird and grim stuff here… so probably best not to give to the kiddos to check out. The good news is that most likely the kids, as well as many adults, would probably be discouraged by the main character’s almost glacial rate of movement. I’m all for establishing pacing in a game but this feels a little more like padding the length at the end of the day. A crucial thing to know before you waste too much time on a death after completing some puzzles, be sure to have some gold coins and plot out when best to save, to do so you’ll need to give one to the crow on the fountain in the courtyard. 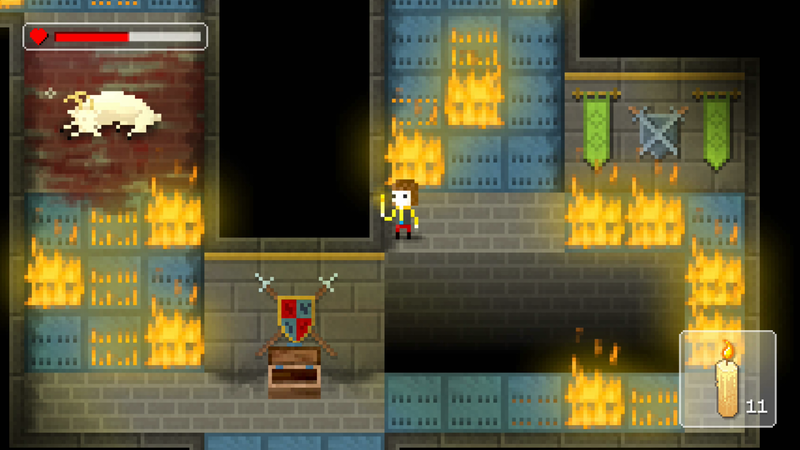 Death can come quickly and tends to take you by surprise every once in awhile so you may not want to save constantly (gold is useful for other things you’ll need as well) but losing progress and needing to repeat puzzles can be painful given the rate of movement. 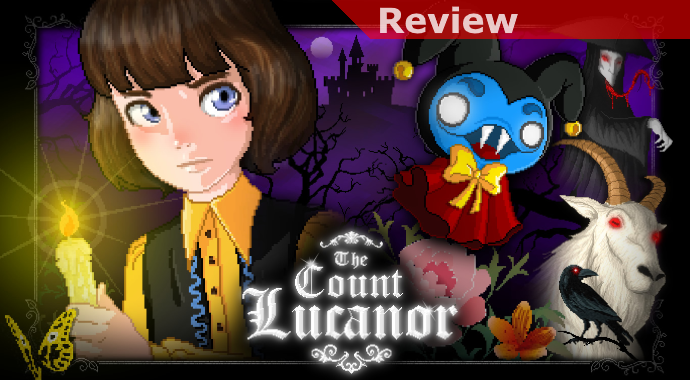 At the end of the day The Count Lucanor is a bit of an unexpected gem if you’re in the right mindset and are looking for something different and creepy to play at this time of year. If you want action and excitement you can just keep on looking, the game will frustrate you within the first few minutes. If, however, you like your stories weird, your imagery to include a sense of the macabre, and to have equal moments of “OMG!” and “WTF?” sprinkled into the experience you could have some fun for a little while.